The 2018 SAFF Suzuki Cup final will be played between two teams who have faced each other more than any other in the competition's history: Maldives and India. They have faced off on 12 previous occasions in the tournament, including four finals, with this their first clash in the final since 2009, when India won on penalties after a goalless draw at full time. This will be the Maldives' fifth appearances in the final of the SAFF Suzuki Cup, and their first since they lost on penalties to India in 2009. They have won the tournament once before (2008), and they beat India in the final that year to do so. The two sides have already met in this year's tournament. India won 2-0 in the group stage thanks to goals from Nikhil Poojari and Manvir Singh. In their last match against India in the group stages, Maldives recorded a passing accuracy of just 50.9% as they went on to lose 2-0. That is the lowest percentage of any team in a match at this year's tournament, and they will have to improve upon their quality in possession this time around, both with their passing and their finishing accuracy. This year, they come into the final despite having only won one of their three matches in the tournament, a 3-0 win over Nepal in the semi-final. Two of their goals in that game came from Ibrahim Waheed Hassan. Their key creative influence comes in the form of wide man Ali Fasir, who, despite only starting two of their three matches in this year's tournament, has created more chances than any other of his teammates (5). Maldives will be facing this year's joint-top scorers at the SAFF Suzuki Cup, with India scoring seven goals in just three games. Defensively, they will have to be at their best to keep them at bay, and captain Akram Abdul Ghanee would be key in this effort. 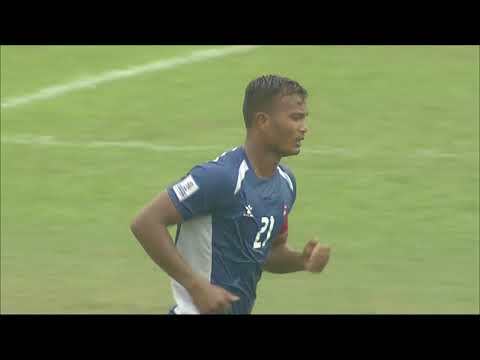 Not only did the centre back score the opener in their semi-final win over Nepal, but he has won more tackles (5), made more interceptions (9) and made more recoveries (22) than any other outfield player for the Maldives in this year's tournament. "We have struggled in the group stages but we're in the final now. This is our biggest chance. We haven't played the final in 9 years. We're well prepared and we're going to fight to win the tournament." said the Maldives skipper Akram Abdul Ghanee at the pre-match press conference of the final of the SAFF Suzuki Cup 2018. The Maldives Head Coach Petar Segrt was delighted with his team making it to the final and said, "We are facing a huge opponent. India has a population of 1.3 billion and we are 300,000. But tomorrow it will be 11v11 on the field." "If India is fielding U23 players, we are fielding semi-professionals. Most of our players work for eight hours and then train. I'm very proud of each one of them. It's a huge success for us to be in the final of this competition. We respect India, they're a big opponent. But this is our chance which we want to take it," he added. India have been a dominant force in the SAFF Suzuki Cup over the years. They have won the tournament more times (7) than any other individual nation has even made it to the finals (Maldives will be playing their fifth final this year), and their seven tournament wins is more than every other side has managed combined (Sri Lanka, Bangladesh, Maldives and Afghanistan all with one win each). In addition to having scored the most number of goals (7, alongside Nepal), they have also been the most clinical with their finishing. Not only have they had the highest percentage of their shots on target, but they have the best shot conversion rate of all sides at this year's competition too. A large part of that can be attributed to the player who has been their main threat going forward, Manvir Singh. He has scored more goals than any other player at the 2018 SAFF Suzuki Cup (three), including a brace in their 3-1 semi-final win over Pakistan. He also scored against Maldives in the group stage, so they will know all too well about the danger he poses. Stephen Constantine, Head Coach of the Indian Football Team said, "I'm pleased with our progress in this competition. I think we've played very well and we deserve to be in the final. Maldives were excellent against Nepal, and I don't think anyone expected how well they would perform in that game. They have some really good players, and have our full respect, but we fear no one". The bustling coastal city of Trivandrum will be the venue for the 2015 South Asian Football Federation (SAFF) Suzuki Cup as India play host to the sub-continent's prestigious tournament in December.